Unlike other liposuction treatments, VASER Liposuction not only removes exercise-resistant fat deposits, it also sculpts and defines the underlying tissue*. The patented, unique ultrasound technology delivers an ideal athletic body with the least amount of discomfort and tissue trauma for the patient*. 6 Traditional Liposuction Vs. VASER Lipo? Even healthy individuals can struggle to diminish stubborn stores of fat on their body. Thanks to VASER ultrasound technology, patients now have a high-precision, safe, solution that delivers beautiful results*. VASER Liposuction treatment results are above and beyond the average body sculpting experience; VASER not only gives doctors a unique, precise way to remove unwanted fat, but it also allows them to contour fat removal to enhance the patient’s underlying anatomical structure, thus revealing and defining their hidden, natural features*. VASER Liposuction treatment results are above and beyond the average body sculpting experience*. VASER, which stands for Vibration Amplification of Sound Energy at Resonance, utilizes the intelligence of advanced ultrasound technology to carefully break down fat. During a Vaser Liposuction procedure, ultrasound wavelengths create vibrations. A miniscule cannula is inserted at the fat extraction site, and tumescent fluid, a mixture of lidocaine and saline which enables the smooth removal of fat and an easier recovery overall, is administered. The vibrations created by the ultrasound technology interact with the tumescent fluid air bubbles emitted by the VASER device, causing the bubbles to shrink and enlarge. The vibration, paired with the movement of the bubbles, makes the breaking down and removal of fat go much more smoothly. The ABS Institute’s extremely advanced ultrasound technology greatly reduces the chance of damage to a patient’s adipose tissue, which is the layer of the body which contains not only fat, but also blood vessels, connective tissues, and nerves. VASER Liposuction allows for accurate, non-disruptive suctioning of localized fat deposits, while leaving the nerves and vessels of the adipose tissue unharmed. The precision of the ABS Institute’s VASER Liposuction technology elevates the human form to a work of art. 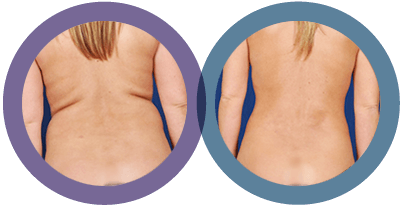 VASER’s unique and advanced ultrasound technique identifies the difference between fat and the surrounding connective tissues. Minimal nerves or blood vessels are damaged during the procedure. 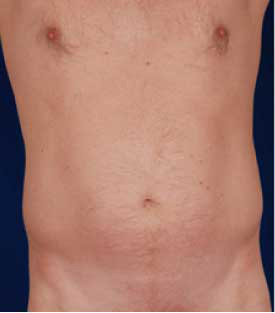 The VASER technique can be performed on most areas of the body, including the neck, arms, abdomen, chest, hips, breasts and legs. The ABS Institute is proud to be a leader in raising the standards of surgical excellence. The philosophy at the ABS Institute is a true appreciation of the innate beauty of the human body. Through the continuing work at ABS, we’ve pioneered many advances with surgical tools and techniques, including groundbreaking improvements to cannula, aspiration, and fat grafting technologies, as well as to the Image-Guided ultrasound. The latest body sculpting breakthrough enables improved fat grafting to the male chest and shoulder*. VASER is the culmination of years of body sculpting innovation. Traditional Liposuction Vs. VASER Lipo? Traditional methods remove fat through avulsion. This type of extraction can damage surrounding tissues. VASER uses state-of-the-art ultrasound technology to remove fat, while leaving the other Adipose tissue unharmed*. Skin inconsistencies (bumps and rippling) can occur. Patients experience improved skin retraction and overall smoothness*. Faster than average patient recovery*. Patient experiences a good deal of bruising post-procedure. Minimal bruising after a VASER Lipo procedure*. VASER Liposuction, or ultrasonic assisted liposuction, provides better all-around results and recovery than power-assisted liposuction and laser-assisted liposuction. Instead of using high heat, which can damage tissue, VASER relies on ultrasound frequencies to break down stubborn fat deposits. A miniscule cannula inserts tumescent fluid, which contains air bubbles, into the adipose tissue. The ultrasound waves agitate the bubbles. The expansion and collapse of the bubbles creates space between the fat cells without disrupting the cells themselves. this AFT (Autologous Fat Transfer) is a separate procedure sometimes done with lipo. 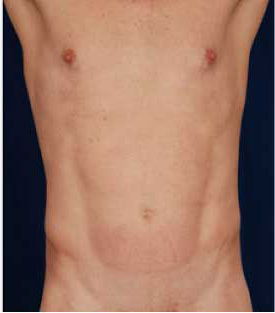 VASER Liposuction’s careful use of ultrasound and thermal energy technology also yields significant skin contraction*. The VASER system’s smaller cannula, advanced probe design, and efficient use of ultrasonic power helps to reduce heat-related complications, such as tissue damage, and encourages the best possible recovery of the patient’s skin and underlying anatomical structure. VASER technology is often compared to traditional liposuction technology by stating “VASER is like cutting through butter instead of a block of wood.” The results are better, and the patient’s body experiences less trauma*. 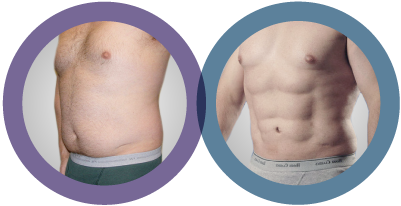 Ideal candidates for VASER Lipo are active individuals who are close to their goal weight, but still struggle to lose certain areas of fat on their body. To see the best results from a VASER treatment, both men and women should aspire to maintain good muscle tone in the months before their procedure. Liposuction, in any form, is not intended to be a weight loss solution. It is still possible for a person to gain back weight after his or her surgery. The VASER Lipo procedure is not designed to treat large amounts of fat; the ideal candidate for VASER is someone who is otherwise fit and healthy, but still has troublesome deposits of fat affecting their shape. Candidates for VASER Lipo should also have an open, realistic attitude toward body sculpting surgery. 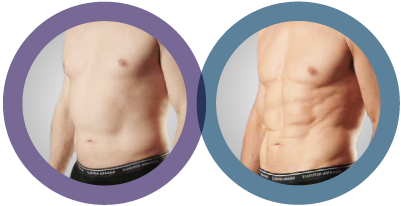 During your initial consultation, The ABS Institute’s highly experienced staff will perform a thorough exam to determine your candidacy for VASER Lipo. After discussing your medical history and desired procedure results with you, we will recomend the body contouring technique that will be best for you. You will receive customized preparation and recovery instructions before your day of surgery. If you would like to inquire about your candidacy for VASER Lipo, please contact our office. We will gladly get you started on a path toward a more toned, happy you! Patients will be able to return home immediately after their VASER Lipo procedure, though it is recommended to take several days off work for your recovery. Recipients of VASER Lipo should make a habit of taking short walks during the initial healing period, as well as in the weeks following to maintain adequate blood flow. Strenuous activity can be resumed a couple of weeks after the VASER procedure. Immediately following your treatment, it is normal for the treatment area to swell, and in some cases the skin might be slightly pink. While these effects will subside quickly*. While everyone’s body heals differently, the majority of VASER recipients notice fantastically sculpted results as soon as the initial bruising and swelling subsides; results can be enjoyed usually in a matter of days*! A patient’s final and best results will be evident after two to three months. Theoretically, because the VASER Lipo treatment destroys fat cell, and adults cannot regrow fat cells, the results should be very long lasting*. However, fluctuations in weight in the areas surrounding the VASER treatment locations can still impair results. For this reason, patients should maintain a healthy lifestyle and diet. VASER Lipo will define a patient’s underlying muscle tone, but it is not intended to replace exercise and balanced eating. The price of a VASER Liposuction procedure will vary based on the number of areas a patient is having treated, the size of the treatment areas, and the amount of time required to achieve the desired contour. Our staff creates an optimal treatment plan for each patient. If you are eager to learn what your individualized results from VASER Liposuction could be, please contact our Colorado office today to schedule a consultation.